Grew Up... the product of divorce. When she was twelve, Diane chose to stay with her father instead of her mother, and she's always felt she made the right choice. Even now, six years later, the two are very close and tell each other everything. Living... in Seattle with her father. He runs the Golden Seasons nursing home and they lived a simple, idyllic life – until a few weeks ago, when her father came under investigation for fraud. Profession... straight-A student. After graduating as valedictorian of her high school, Diane further makes her dad proud by winning a fellowship to England in the fall. Interests... studying. It's not that Diane doesn't want friends, but her beauty and brains tend to intimate classmates from talking with her. 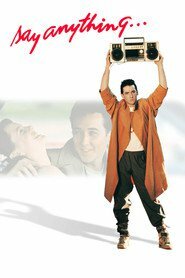 Relationship Status... seeing Lloyd Dobler. Diane really shouldn't have any social life right before she leaves for England, but Lloyd, a free-spirited kickboxer, is a breath of fresh air. He makes her feel secure and relaxed, and she's never felt so loved. But her father doesn't approve of their relationship, telling Diane that while she's going to a part of international think tanks, Lloyd's going to be kicking punching bags. Challenge... keeping it together during her dad's investigation. Diane's flabbergasted when she hears the accusation – her dad's the most honest person she knows, and she figures it's all just a big mistake. Personality... intelligent, serious, and painfully awkward. Diane might be a whiz at math proofs, but because she's spent so much of high school studying, she's clueless at social events. This causes her to come off as a “priss” to her former classmates, but Diane's got a warmer side she shows to her father – and, more and more lately, Lloyd. Diane Court's popularity ranking on CharacTour is #2403 out of 5,000+ characters. See our top-ranked characters and read their profiles.